CAMEOS is a senior friendship group that meets from 9:30am – 11:30am on the first Tuesday of each month (except January) at Albany Creek Uniting Church. CAMEOS offers a varied program including music, entertaining activities, and guest speakers. 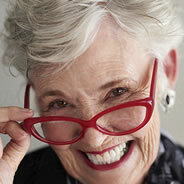 There is no exact age when a person becomes a “senior.” Some say 55 or 60 and others, 62. We say if you visit our group and are blessed by your experience, you are welcome! So if you would like to spend some time once a month with others for morning tea, fellowship, and entertainment please come by and say hello.